If tu lived in the FFVIII world, where would tu live? Who's your favourite FFVIII character? Which girl do tu think is the prettiest? While playing the game, did tu think that Irvine was a pervert? What part of FF8 did tu enjoy the most? Did tu finish the game? If so, how many times have tu completed the game? Did tu fight and/or defeat Omega Weapon? Zell informs Squall that he’s been dado a private room. Use it to rest and save. In the morning, Selphie tells Squall to meet at the Main Entrance. Pick up the April issue of Weapons Monthly from the escritorio before leaving the room. At the Main Entrance, Cid and a faculty member brief tu on your 1st SeeD mission. After getting your orders, talk to Cid again to get a Magical Lamp. Before using it, go back to the lobby and save your game. Select Magical Lamp from the menu screen to fight, and ultimately collect, another GF. Upon reaching the shore, Quistis reminds tu to junction your GFs before proceeding - divide them among the 3 and transfer magic from Quistis if tu have to. While on this mission, don’t converse with Squad A o C members (except for Selphie), follow orders, and finish off all enemies quickly. Instructors in this field exam are assessing you. For the moment, follow Seifer to the parte superior, arriba of the stairs. Final fantasía VIII opens with an FMV of two students squaring off in a training match. One is injured in the battle and awakens in the infirmary. The medic, Dr. Kadowaki, asks if he feels all right. Give your hero a name (Squall is the default). Dr. Kadowaki phones Squall’s teacher, Quistis, to come get him. Watch the FMV mostrando her arrival then follow Quistis to the classroom. In Final fantasía VIII there is a very enjoyable side quest which adds many más hours on to the gameplay of the game. Much like how FFVII has the golden saucer, Final fantasía VIII has a card game system. The name of this card game is Triple Triad. Throughout the duration of the game almost anyone can be challenged to a game of cards. tu can engage in a game por pressing the square button however tu must have a minimum of 5 cards to play. Cards come in many forms they can be monsters, GF's, Bosses and even characters. Squall is 17 years old, at the start of the Final fantasía 8 game. He is an introverted character, one that acts as a lone lobo and doesn't get on with others. Quistis, an Instructor, notices this introverted behavior and constantly tries to ask him preguntas and understand him, however, he tells her to 'mind your own business'. Like Final fantasía VIII? Heck, do tu like Final fantasía all together?! 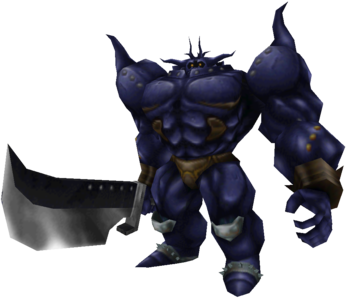 Take a look at Tainted Dreamz's up and coming fan Fiction based on FFVIII, also the club is based around Final fantasía in general.